One sign of the collapse of political order in a country is the refusal of powerful groups to accept the results of elections or plebiscites. This has been relatively rare in Western countries in modern times but we are currently witnessing this kind of breakdown in both the United States and Britain. In the US large sections of the Democrat party, the media, the federal bureaucracy and the academic community are calling for the removal of President Trump by way of impeachment proceedings in the Congress. Technically, impeachment by the House of Representatives is only the first stage in the removal process, to be followed by the second – a trial in the Senate. It is, of course, open to all these groups to openly disagree with some or all of Trump’s policies as president and to criticise aspects of his often unconventional personal behaviour. But Trump was elected to serve a four-year term as president and calls for impeachment are really a rejection of the 2016 election result. It is possible to imagine conduct that would justify the impeachment of a president, although no president in US history has ever been removed from office by this process, but it is hardly enough to dislike the president’s policies or personality. There has certainly been nothing to date that has emerged from the welter of allegations against Trump that could amount to the US Constitution’s notion of ‘high crimes and misdemeanors’, whatever that rather amorphous phrase might mean. Yet the tenor of Trump’s opponents can be gauged by a column last month in the establishment Washington Post by someone called Max Boot – surely a made-up name – who started by saying that Trump’s presidency could be summed up in four words – racism, authoritarianism, incompetence and megalomania. He went on to say that Trump’s views were ‘almost indistinguishable’ from those of a white supremacy advocate and added that he had ‘created a climate of rhetorical violence that has been associated with mail bombs and a synagogue shooting’. All these come from the supposedly second-most prestigious newspaper in the US, although the first – the New York Times – has published material to very similar effect over recent times. It is this kind of hyperbole that reflects a political climate where impeachment can be seriously considered by the president’s opponents. It is true that President Clinton was impeached by the Republican-controlled House of Representative in 1998 on charges of perjury and obstruction of justice. The subsequent trial in the Senate did not result in Clinton’s removal from office because this requires a vote of two-thirds of the members of the Senate and the Republicans did not have these numbers, as would normally be true for either party in the Senate. It is reasonably clear that Clinton was guilty of perjury but this was in relation to his personal affairs and, however unattractive his conduct in this area, the Republicans were engaged in a political exercise that was never justified by the events of that time. What Trump’s opponents can and should do is to wait until the election in 2020 when they can point to all the deficiencies they maintain and ask the electorate to act accordingly. This is what usually happens in nations with regular elections. A somewhat similar phenomenon has been observed in Britain over the period since the Brexit plebiscite in 2016. It is obvious that most holders of power and influence in Britain voted to remain and there have been constant calls for a second plebiscite to reverse the result of the first. The Scottish government openly rejected the Brexit vote and called for a new vote on Scotland leaving the United Kingdom – a question that had already been the subject of a plebiscite that was lost in 2015. British Labour has now joined in the call for a second vote. The European Union, of course, would be delighted by the prospect of a second vote as it never accepts electoral results in its member states with which it disagrees. As the European Commission president, Jean-Claude Juncker, once famously said about an upcoming French vote on the EU constitution: ‘If it is Yes, we will say “on we go” and, if it is No, we will say “we continue”’. If the EU had accepted the British result and tried to facilitate rather than frustrate Brexit, there would be no need for any discussion of a second plebiscite. The only comparable events in Australian political history took place over the period of the Whitlam government between 1972 and 1975. 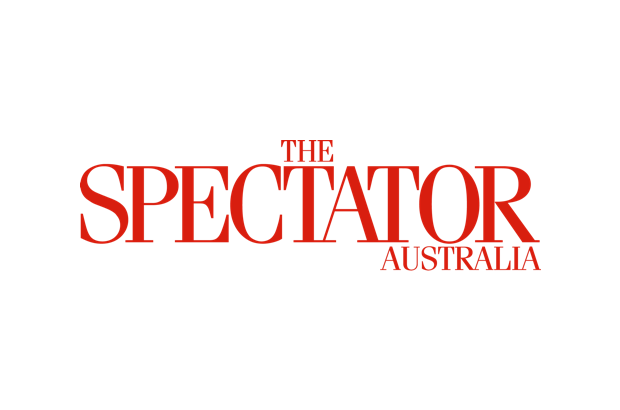 There were many criticisms that can be – and have been – made of the Whitlam government. Its administration was often chaotic, although this was due in part to the fact that Labor had been in opposition for 23 years so that none of its ministers had any experience of government. It was, however, this long period of one-party rule that seems to have unhinged the Liberals when they finally lost office. They simply refused to accept the result of the 1972 election and used their narrow majority in the Senate to block almost every significant piece of government legislation. Early in 1974 they blocked the budget bills which led to an election in May of that year where the government was re-elected for a three-year term. Then halfway through this term the Liberals, under the leadership of Malcolm Fraser, again blocked the budget bills in the Senate and this time forced the removal of the government with the assistance of the knightly trio of Sir John Kerr, Sir Garfield Barwick and Sir Anthony Mason. Whatever its problems, the government was entitled to run its term and be judged – no doubt harshly – by the electorate. But Fraser and his party were too greedy and too irresponsible to wait for that to happen. In all these cases the refusal of the opposition and other sections of society to accept a popular vote has produced a kind of paralysis in government as the existing regime fights for survival. This in turn provokes calls for its removal from the very groups who never recognised its legitimacy in the first place.